I love these resin maple leaf charms I recently found. They’re a deep ruby red color, which the photo doesn’t even do justice. It’s something fun and colorful for fall, either paired with other elements as a bracelet or charm necklace, or with a simple stamped initial (shown) or birthstone, and even just on its own on a simple chain. 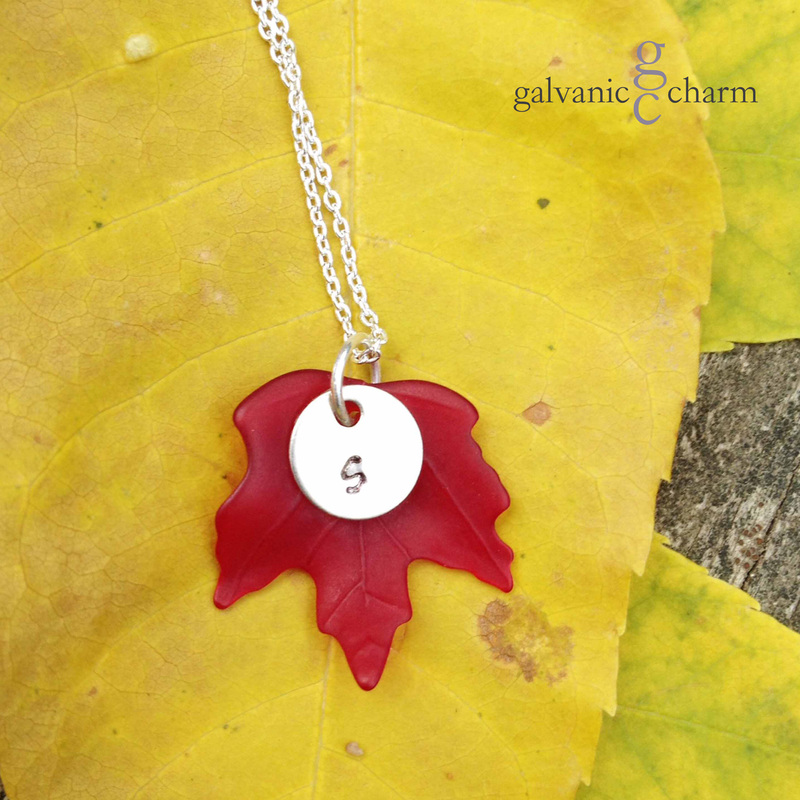 MAPLE LEAF – Dark red resin maple leaf charm with hand-stamped silver-plated circle. 18″ extra-fine silver filled cable chain. $25 as shown. Available directly or on Etsy.